This rub, right here. After several years of throwing handfuls of spices and herbs together with reckless abandon, at some point I needed to find a flavor that was consistent enough for someone as lazy as I am. I tried looking for recommendations and variations from some of my favorite chefs and friends, coming only to the conclusion that I should make my own. I’ve removed the salt, to give a little more freedom to individual tastes and techniques. When it comes to pork and chicken, I’ve been introducing the salt in a wet brine for optimal distribution. For beef, dry brine works best. And for seafood, only a light finishing salt is needed. So this way I can pack all the savory into one jar and relax. Sticks best to cold meats, using oil or butter, since the dry herbs are fat-soluble. Also makes a great gift to pass around to your friends and family. 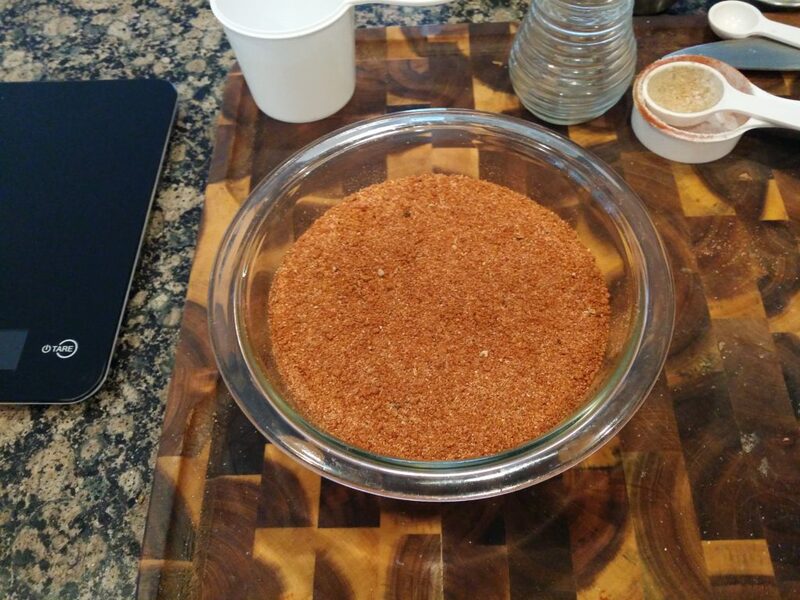 Spice rub for smokin’ stuff and things. The paprika, chili, rosemary, and cumin can be bloomed in a pan over low heat before adding to the blend. Pulse in a blender until smooth. Store in a mason jar or other air-tight container. Use a generous coating for smoking or indirect cooking, lighter for grilling or direct heat cooking.